Mike Brown's Planets: Free the dwarf planets! The problem is with the IAU. When the IAU defined dwarf planet they also declared themselves gatekeepers of what counts and what doesn’t. While that might not sound like a big deal at first, it is actually quite a deviation from standard scientific practice. In every other part of astronomy, if I make a discovery – let’s say a new brown dwarf – I write a scientific paper announcing the new discovery to the world. Other scientists can then go observe the object and decide, perhaps, that I was mistaken. They then write a paper saying that, no, it wasn’t a brown dwarf, it was a distant galaxy, and the scientific debate continues. At no point is the IAU required to ever enter the object on the official brown dwarf or official distant galaxy list, because no such official lists exist. Does any of this matter? I would argue that it does. 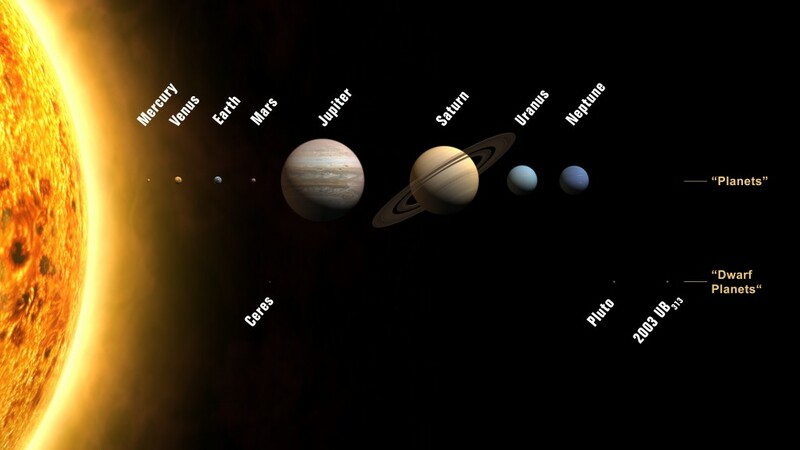 Our definitions and our concepts are our ways that we explain the solar system to people. Saying that there are 8 planets is a powerful statement about the fact that there are a small number of bodies which dynamically dominate the workings of the solar system. Saying that there are already possibly 390 icy dwarf planets known beyond the planets showcases the excitement of the last decade of discovery and points to the new frontiers at the outer solar system. Saying, instead, that there are 5 dwarf planets paints the incorrect picture that these 5 objects are somehow a rare breed. They are not. They are all over. And they must be freed! How do we free the dwarf planets? Through science. In honor of the fifth anniversary of the creation of dwarf planets, I have spent some time putting together what I think is currently the best list of possible dwarf planets out there. Doing so is not precise. We don’t know the sizes of many objects. We don’t know how reflective their surfaces are. We certainly don’t know their shapes. But science is OK with uncertainty. I have made the best estimates that I think can be made, and, more importantly, I have documented how I made the estimates, which means that people can examine them, disagree with them, and proposed why better estimates should be made. This process is very different from gatekeeping; this process is science. You can read my list of possible dwarf planets here. It updates every day as new objects are discovered and more information about the sizes and shapes of objects in the Kuiper belt becomes known. Lists are just lists, though. The important part is the methodology, which you can read all about here. Not only can you read all about it, you can also reproduce I, change it, and disagree with it, because, again, that is the way with science. According to my estimates, today we know of 390 objects which are possibly dwarf planets, of which 102 are probably dwarf planets, 60 are likely dwarf planets, 31 are highly likely dwarf planets, and 8 are nearly certainly dwarf planets. What do I mean by those subjective-sounding terms? Again, you can read my definitions here. And you can disagree with them. And what about the official IAU list? What should we do with it? I believe it has done enough damage to people’s understanding of the outer solar system over the past five years. I suspect that even the IAU doesn’t really want to be in the gatekeeping business and they just accidentally painted themselves into that corner. They should abandon it. The IAU does have one other good option, though. They could attempt their own analysis of which objects fit their definition. And they could publish the analysis. And others could comment and agree and disagree. What would we call it if that happened? I think the name, again, is science. Told about this, the president of IAU Division III just mailed me that "I will discuss this with the IAU EC" (which is the Executive Committee, their highest body). Let's see if they change the ad hoc rule from 2008 that specifies a minimum absolute brightness for even considering a Kuiper Belt Object a dwarf planet which seems way too high now: an object with H = +1 is over 1200 km across; all of Mike's candidates for ascension are fainter than +2. I always considered the dwarf planet category unofficial, with the only official reckoning being whether a body is registered in the Minor Planet Catalog. Are you proposing the roundish minor planets get a separate catalog all their own? @anon No, I'm proposing the opposite. There currently **is** an official dwarf planet list with the IAU as the list keeper. I am simply proposing that we honestly deal with the question of "how many roundish minor planets are there in the solar system" by using science. It does go back to the argument of whether roundness is a significant distinction among minor planets, Vesta and Ceres being the usual main belt examples of sufficient vs insufficient roundness. If partial melting of the interior, surface geology, or accompanying moons don't require the body be a relaxed spheroid, why does it matter? @anon2 I don't disagree at all. But, since the definition exists, the number should at least be accurate! Thanks for taking the time to write this. Being not even amateur astronomists but having a deep love for all of this, me and my ten year old son know all about you and didn't know much about what you describe here. My son will be excited to read all of this and ditto both of us to go to your links, especially that list of other candidates. You've done a good, good thing and helped fill my son (and I) with wonder and love of science. It is much appreciated. And with him, I am seeing it will go far (he has curiosity and a gift for mathematics). I kept thinking, "It's been a few years, the IAU should have some more dwarf planets officially accepted..." No wonder! Thanks for the explanation and the new list of possibles! We'll probably have to wait until the IAU's general assembly of August 2015 on the island of Hawaii. I have been expecting the IAU to revisit this issue, since they left some gaping holes in their resolutions in 2006. My feeling is that the rules and classification system that is used to categorize the myriad objects in our solar system must be outlined and codified in such a way that it may be applied to the planet swarms we find in orbit around other stars. Roundness, or degree of "sphericity" and location relative to other planets just won't cut it as we learn more about those star systems over the coming years, decades and, yes, centuries. Thanks for the post, i was wondering for a while why IAU did not announce more dwarf planets. Another question which is most likely irrelevant for professionals, but why did not more dwarfplanet candidates get names? ( I know the rules ..) still did no "discoverer" or "discovering team" come up with name suggestions? Or was that delayed till a possible confirmation of the status of the object? The numbers-letter-combinations are hard to memorize, even nicknames help a lot in telling the different KBOs apart. Mike, I think you make an excellent point about how science ought to be done, and how the IAU dropped the ball when they declared themselves gatekeepers of definitions. Great post here, this was one of the major annoyances I have had with the dwarf planet category. "This is one of the problems with the databases that exist. The MPC and JPL databases don't always get updated with the latest measurements. The new value comes from a recent published paper"
It would be useful to have references in the rows for this reason. @anonymous on names: Many of the larger candidates are ones the we discovered, and we have always been reluctant to name something until we know enough about it to give it an appropriate name (i.e. see Snow White this week!). The others I can't speak to; maybe their discoverers are likewise waiting! Since I was one to help "demote" Pluto in Prague, even though I wrote some papers about it, I think that the IAU decision was logical and timely. There was a need to retain a small number of "planets" that kids could remember. The issue whether there is or is not an official list of dwarf planets is neither here nor there, as is the issue about naming them. Since there IS a rule, and it requires sphericity, let's stick to this and accept as dwarf planets all bodies that have definitely been shown to be spherical. Are the IAU's rules for naming dwarf planets exactly the same as those for the smaller solar system bodies? If they're different, I could see why the IAU might want to maintain a separate list for the dwarfs. What makes you think that the IAU considers itself to be a gatekeeper here? Or that others (including you) consider it to be a gatekeeper? I'm not being combative here, I really want to know why, since I've encountered it often enough. Is there a published, official list? There is a list at http://planetarynames.wr.usgs.gov/Page/Planets, but it's clearly not intended to be exhaustive, since, e.g., it only lists 50 moons for Jupiter. It also makes no claim to be official or exhaustive (or current -- no P4). The IAU hasn't declared any further dwarfs, but, if they don't consider themselves a gatekeeper, they wouldn't. They only have to stick their necks out when naming. Even there, they clearly state that their criterium (H<1) is for naming only, not strict categorisation. Bryan, the reason is that eight year olds know the names of the planets and some of their properties. Do you want to scare them off by presenting them with tens or hundreds of planets? The notion of having a "gatekeeper" in science is ridiculous. Facts are not decided by votes of elitist groups unless we're talking about a church. The IAU should never have taken up this entire issue, as doing so put it in the position of gatekeeper, which was never appropriate and caused a huge mess. They weren't even the inventors of the term dwarf planet, as its use goes back at least to 1991, when the term was proposed by Alan Stern. I disagree to about it being a powerful statement to say there are eight and only eight planets but have no problem with 390 or more dwarf planets. I just don't get why the smaller objects in hydrostatic equilibrium, which in many ways are similar to planets, shouldn't be counted as a lower end of planet, the way brown dwarfs are counted on the lower end of the stellar category. I think eight-year-olds are way more fascinated by the idea of foreign worlds than their specific names and wouldn't mind having a whole lot more of them. @Raven @Bryan Interesting discussions, but not really germane to the point of the post. The point is: whether or not you want to call these things planets or anything else, let's at least count them correctly! @David It is my impression from press releases like this one http://www.iau.org/public_press/news/detail/iau0807/ that the IAU is gatekeeping. One question on the data. Since the primary of 1999 TC36 is binary, shouldn't the size be substantially less than that listed, and therefore probably *not* a DP? Per the 2010 Icarus article, A1 is ≈ 286 km and A2 ≈ 265 km; ≈ 414 km is their "effective system diameter". If we use science, Pluto is a planet. If we use politics and talk about killing planets, then Pluto is Mickey's dog. If Earth was in Pluto's orbit, it would not be a planet. In fact, since Earth shares its orbit with at least two asteroids, the IAU could deplanetized Earth as well, using the ridiculous 2006 definition of a planet. Soon the IAU will change this absurb defintion when New Horizons reaches Pluto and makes scientists realize the awesome planetness of Pluto. If we use science, Pluto is a planet. If we use politics and talk about killing planets, then Pluto is Mickey's dog. If Earth was in Pluto's orbit, it would not be a planet. In fact, since Earth shares its orbit with at least two asteroids, the IAU could deplanetize Earth as well, using the ridiculous 2006 definition of a planet. Soon the IAU will change this absurd definition when New Horizons reaches Pluto and makes scientists realize the awesome planetness of Pluto. @Anonymous Kids can still memorize the 8 "major" planets at a young age and have interesting discussions as they get older about "other kinds of planets." I know not everyone will have my unhealthy obsession with dwarf planets (business man by day, dreamer of distant worlds by night), but I want everyone to know they're out there. One of the greatest moments of my life was when I realized that the moon wasn't just some crescent-shaped atmospheric phenomenon, but a whole actual PLANET close enough that we could fly to it. I want my kids - and everyone's kids - to have a similar opportunity to behold the wonders our immediate cosmic neighborhood has to offer. I've noticed that "world" has become a very handy catch-all term for planets, dwarf planets and large, roundish moons. It has the advantage of not carrying all of the baggage of the word "planet". And by what eight names should all the people in the world be called so that we don't cause our school children's brains to explode? We seem to be caught up in a tangled web of definitions, classifications, categories, jargon etc., all in the name of science; I think not. Science is to help codify understanding of our universe. Science should be usable by all, not just scientists. We use objective criteria only, when employing scientific principles. Politics, egos, ambition, culture, religion, pride, reputation and the like should be kept in a lock box when using science. I sure hope that the IAU abandons its ill-conceived notions, confusing rules, and requirements etc., in favor of a neat, clean and polished approached to astronomy and science in general. It sure is difficult for lay people such as me, to understand all of the perplexing elements that the IAU adopted and seems fit only for an elitist scientific body. It is also egotistical for the IAU to think that all of this is for their benefit, only. It seems clear, that in a decade or two, the IAU (with a better understanding of the newly discovered bodies in our Solar System and will have to go back and clean up the mess they made. Now that exo-planets are beginning to be discovered, are we going to argue over another, perhaps more puzzling way, to classify them? I am sure glad that the IAU did not write our Constitution; if they did, our wonderful country would be swallowed up by a very unscientific black hole. Obviously categorizing an object as "star", "planet", "dwarf planet" or anything else is only relevant for the big picture. It helps to be able to talk in shortcuts. For individual cases only the actual values and measurements matter. No physical value on Pluto changed one bit in 2006, obviously. Still, I think it would help if the IAU released what they now apparently feel as their responsibility for dwarf planets. Dwarfs are currently only 'recognized' if the IAU is 100% sure about their 'roundness'. But how can they be sure if even that is not an exact physical parameter (Vesta is a good example where roundness is disputable)? The current list of 5 dwarfs is very misleading. So the IAU should give up entirely administering the dwarfs and leave it up to the researchers. We will get many databases with many different entries. But so what? As you said very correctly, that's science. Over time many entries will converge. And we might want to leave it up to someone at Wikipedia to summarize all those databases :-) . I am not sure what all the hullabaloo is all about, regarding Pluto. Pluto is still a planet, it is just another type of planet, i.e. a dwarf PLANET. Other types of planets include proto planets, terrestrial planets, gas planets, exo planets or extra Solar planets, etc. Pluto has not changed, it is still where it has been for a very long time. Pluto is intact and is among many other worlds in that part of the Solar system. Pluto is not dead any more so than Jupiter, Venus, Sedna or Earth, is. So why are so many people so upset over an adjustment in how astronomers categorize it? Pluto, whether a KBO, TNO, planet or dwarf planet, is still just Pluto. Just noticed that your list doesn't include mass. For binaries, an accurate mass is likely to be found sooner than an accurate diameter (like Pluto, Eris, Haumea, Quaoar, and Orcus ). Dwarf likelihood could also be inferred from the mass in these cases. E.g., what's the theoretical possiblility of something > Yg not being round? Some pretty amazing data recently (april 2012) on the binary Salacia/Actaea system. Now that the mass (4.5E20 kg) and diameter (900 km) of the primary appear pretty accurately determined it turns out that its density is only around 1.2. This is so low that it might be the case that Salacia has voids inside. If it has then it is not in hydrostatic equilibrium. And if that is the case, then the assumption that a diameter of 800 km guarantees 'roundness' no longer holds. Am I right in thinking that the estimated number of dwarf planets could come down from around 400 to maybe no more than 50 or so? 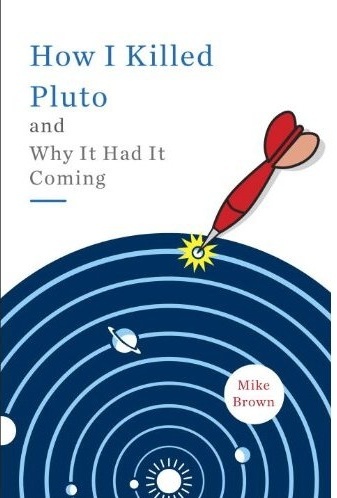 I think Mr. Tyson is the real pluto killer because he "had no compulsion to include pluto"(the pluto files page 78) when he reopened the rose center in 2000. is he prejudiced against pluto? The Rose Center nor Mr. Tyson will see me there. not worth my time. i read an article in "Astronomy" magazine about Pluto and S. Alan Stern said that the IAU "embarrassed itself" and also used the words "stupid" and idiotic" to describe the IAU. then Mr. Stern, according to Astronomy "played a mean game of what if: what if you moved pluto into Venus' orbit? what if you moved jupiter into Pluto's orbit?" Earth has stuff going around it, is it a planet? I don't like the idea which is promoted that Pluto is not a planet. It IS a planet. In fact what the IAU decision amounts to, is saying that Pluto is too small to be a "major planet", but it did not really decide that it wasn't a planet. Why else would they call it a "dwarf planet" if it were not indeed a PLANET. I think every large round body that orbits around the Sun, and especially those that have moons (as Pluto does), are definitely planets. Having moons is not a good reason to be considered as a planet : we know many small asteroids or alike objects that have satellites while two of the Solar System planets (Mercury and Venus) don't ! Dear Mike, I've seen the last update of your list of candidates. I remark that Ceres, one of the 5 IAU-recognized dwarfs, is missing in the list -- as well as Vesta, objet for which it is still unclear if it is in hydrostatic equilibrium and that could be at some point considered as a dwarf planet. Thank you in advance for completing the list with those few objects of the main belt and not limiting it to the TNOs. Adrien Coffinet - PhD student at the Observatory of Geneva. I suggest that Charon also be added to the list, since the Pluto-Charon system is more like a double-dwarf-planet system than one main orbited by another smaller one. The case of the Earth-Moon system as double-planet system, and hence of the Moon as a (dwarf) planet, could also be discussed. The other smaller "cisneptunian" objects that fit your definitions should also be added to the list, currently limited without any really good reason to the transneptunions objects. I believe that the dwarf planet definition is fine as-is, it shouldn't be a subcategory of planet. If people REALLY insist, I'd be ok with "major planet" and "dwarf planet" both being considered types of planets, but I'd prefer the current system. Anyway, the IAU needs to get off their asses and declare which known bodies are dwarf planets already. I mean how is Sedna, with all its fame, not listed yet? There are 23 known ones with a median diameter estimate of 600 km or more. I teach cosmology at Fox Observatory and that's one of the favorite questions, specially from parents. I love to show your list and see the faces :O . I just have one pet peeve about "dwarf" planets; the anglicanism dwarf doesn't translate well in many languages, it sounds offensive sometimes. I know it is way above my pay grade as an amateur astronomer, but I'd love to keep it in Greek notation: planet and planetoid. Great post and list! But I noticed Charon isn't on it. Was that an oversight, or is there a particular reason you excluded it? I think 2002 ms4 should be named Ababinili after the Chickasaw creation deity. The Chickasaw were native to Huntsville, Alabama; Mike Brown's home city. It's now been a full decade—a decade full of new dwarf planet discoveries and further confirmation of the dwarf-planet status of previously known bodies—and still we have only five "official" dwarf planets. In the meantime, an entire generation of school children has grown up learning that there are eight "real" planets, and memorizing the names of exactly five dwarf planets. A decade of books have been published including exactly five dwarf planets and completely ignoring the rest. And when a new dwarf planet candidate is discovered and announced, as UZ224 was just a few weeks ago, too many major news outlets still talk about dwarf planets in a way that makes it obvious the only one they've heard of is Pluto. The solution is for the scientific and lay community alike to simply start referring to all dwarf planets as dwarf planets. OR10, Quaoar, and Sedna are not "probable" dwarf planets—they *are* dwarf planets, just as assuredly as Eris, Makemake, and Haumea are. The same goes for Salacia, MS4, Orcus, Varuna, and a host of others that don't even have names. Creating the dwarf planet category and then abandoning has turned out to be even more irresponsible than just saying everything's a planet would have been, because it separates out the "special five" and then ignores the fact that a major reason for the creation of the category was precisely that there were so many of them! Even by the most conservative estimates, we have already discovered at least 50 dwarf planets. (See my own list at https://goo.gl/9Z2rJe.) That's ten times more than the five many consider to be the only dwarf planets! And when I think about reasons people haven't embraced the larger dwarf planet community, the answer is simple: It's much easier to have a tidy list of exactly eight main planets and five dwarf planets. With such a small list, kids can not only memorize the eight planets, they can memorize the dwarf planets, too! And in a few more years, when the IAU finally comes around to designating another batch of "official" dwarf planets, students, parents, and teachers will probably argue that they can't, because it would just be too hard to memorize them all. Wouldn't that be ironic? I know you said not all TNOs need a name, but I think 2002 AW197 should be named Waton. Less than 2 weeks before its discovery Germany was the first country to adopt the Euro which was a major event in 2002, and Waton is kind like the Germanic creation deity since he and his brothers created the world from the body of the giant Ymir. I use this as an oppotunity to discuss Mike Browns List of the possible dwarf planets. But there is a need for a category of objects, that were seriously discussed as possible dwarf planets (or even planets), but got rejected based on newer evidence like Vesta. The table uses diameter to decide which category, but the actual criteria is "roundness" There are objects out there that are over 500 km in diameter but not round enough to be a dwarf planet. So a rocky object or something with an iron core can be big and heavy but not round. Another object is just a flufy snowball, but as ice flows it gets round as we can see in some small moons of the gas planets. So diameter is only roughly connected to roundness.